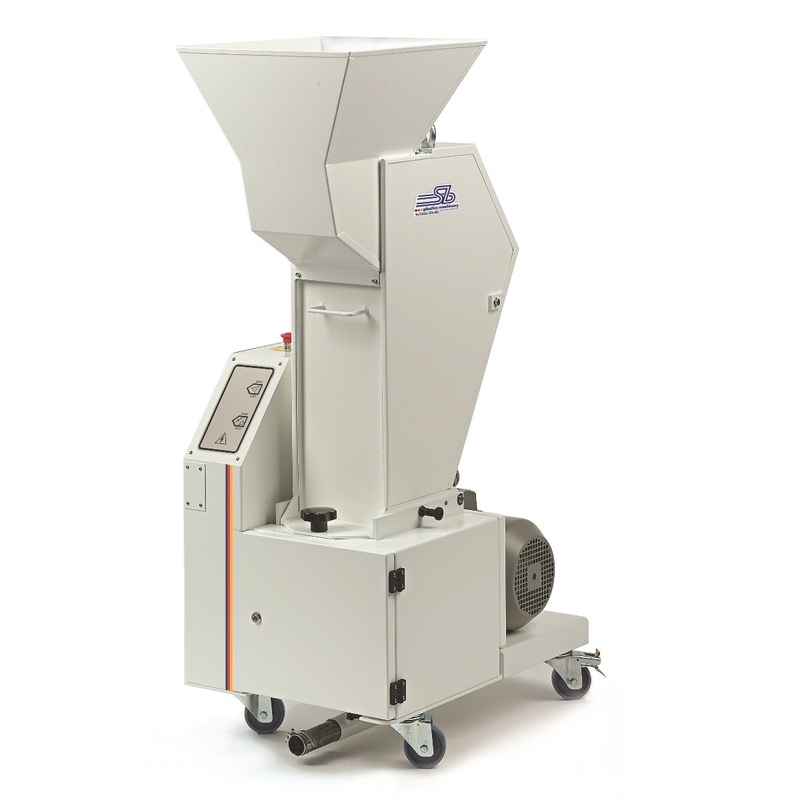 The GRS series granulators are a compact and reliable solution for the grinding of waste beside injection moulding machines, with feed from both belt and robot. They are available in 4 different sizes, with grinding chambers from [140 x 180 mm] up to [400 x 180 mm] and can be configured with extraction systems by suction or by auger. The grinding chamber of GRS series granulators is made of hardened steel, works at 230 RPM and is characterized by side discs that rotate together with the rotor to ensure maximum stability. Moreover, both the movable and fixed blades can be easily dismantled to be maintained and, in case of replacement, can be realized independently by the user. The mobile grinding rotor is multi-blade with offset arrangement of the blades. 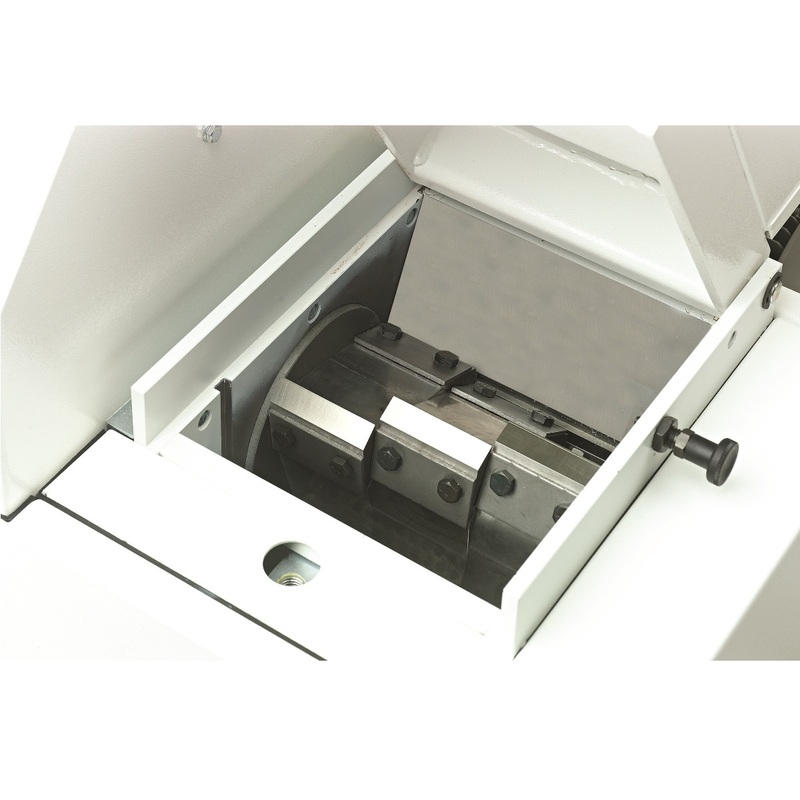 Blade maintenance is simple and can be carried out independently by the user. 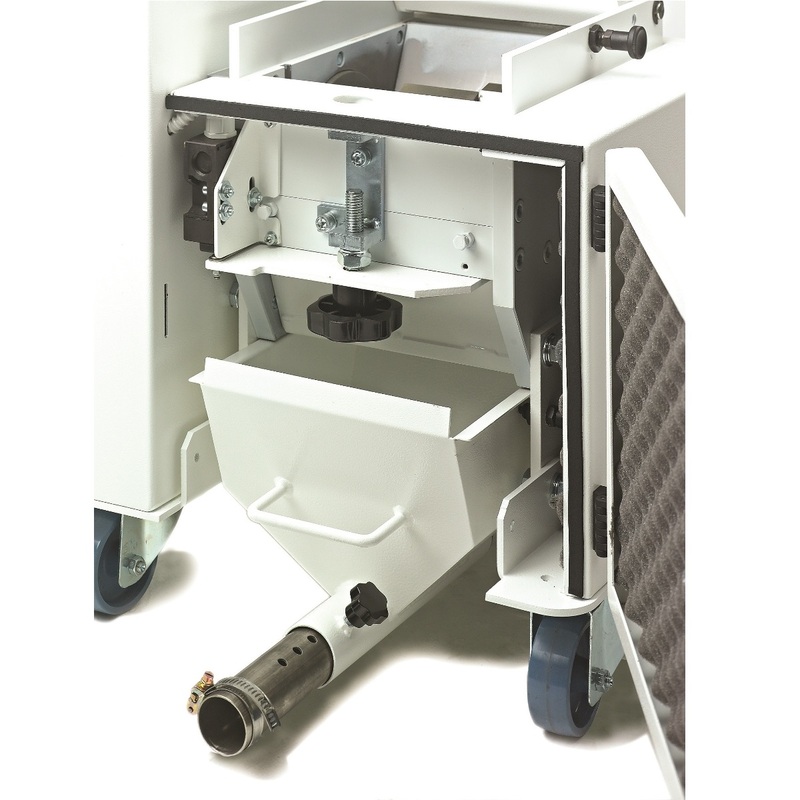 The grinding chamber is soundproofed as standard. The discharge screen is made of steel with a 180° winding angle and 6mm holes as standard. The supporting frame is in painted steel and is designed for the rise of the discharge outlet. The feed hopper is anti-intrusion when the machine is working, but it is easily tiltable for cleaning the grinding chamber.